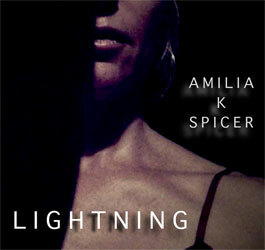 Amilia K Spicer’s “Lightning” builds off of the traditions of Fiona Apple, Tori Amos, and Ani DiFranco. The care taken in crafting an immersive experience ensures fans will stay interested. The bit of rock and alternative styles that bubble onto the track – fuzzy guitars, a bit of echo, and a jangly composition – provides a further boost to its momentum. Spicer’s Lightning is a truly timeless track, one that not only draws upon rich musical tradition but establishes Spicer as a wholly unique performer. The song will bounce around fans’ ears long after the last note rings.